The Wellington based Nga Taonga Sound & Vision has organised special screening of ‘Iqbal,’ the Indian fairy tale of Cricket on March 14 (430 pm and 7 pm) and March 18 (7 pm) at 84 Taranaki Street, Wellington. The film (132 minutes) has PG rating with low-level offensive language. Tickets are priced at $8 and $6. 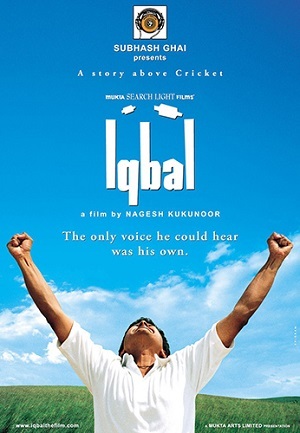 Released in 2005, ‘Iqbal’ won the Indian National Film Award for ‘Best Film on Social Issues.’ Directed by Nagesh Kukunoor, it stars Shreya Talpade, Naseeruddin Shah and Kapil Dev. According to a press note, ‘Iqbal’ is a lovely, unpretentious film about a deaf and dumb boy who dreams to become a Cricket player. For more information, please call (04) 3847647.